The Megs travel with their friend Trey Small to Shenandoah VA in the name of charity. The Megs traveled with our good friend Trey Small to Shenandoah VA in 2017 to promote his charity and get into some classic shenanigans. Trey Small is the founder of the non-profit organization Postcard Connect. This is one epic Charity that we love and that you should most definitely check out. Here are just a few highlights of the trip we put together in a fun video. Long live the Megs and long live Trey Small! Travel videography and filming first responders presents itself with a unique set of challenges. The Sony FDR-AX53 (aka Burtha to us) has proven herself worthy and found a forever home with the Megs. Here are a few reasons why we always recommend this camera first over the rest. All hail the Balanced Optical SteadyShot. We feel like this feature is by far one of the best features built into any camera and should be recognized on it’s own. One of the most difficult parts we have with filming on the move is that we’re filming on the move. We’ve tried just about every avenue of stabilization out there, but the Balanced Optical SteadyShot with Intelligent Active built into the FDR-AX53 has been our favorite by far. This has allowed us to ditch our rigs, tripods, and other bulky equipment in order to free up a hand for beer. Choosing the right option for the right shot does take messing with, but well worth it. Thanks Sony! If there’s a shot you want, there’s a feature on this camera to capture it with. 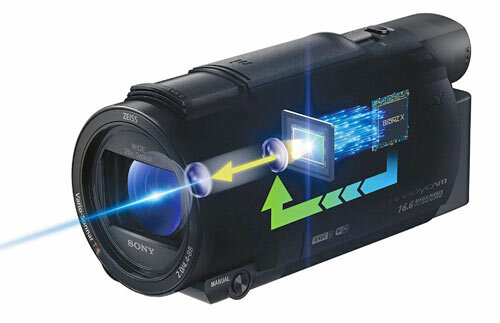 The Sony FDR-AX53 films in multiple recording modes including that thing all the kids are talking about, 4K. While the 4K feature is amazing and slowly taking over HD, the space needed to film is hard to keep up with on the move. The improved stabilization also does not work in the 4K shooting mode. So we recently switched to the Ultra HD mode and have been just as happy with the results. Burtha has a wide variety of features that accommodate almost any environment. From high speed recording in full HD at 120fps to the NIGHTSHOT mode that uses infrared light which can capture images in complete darkness, the features on this camera are well worth the price ($849.99). We could write for days about how great this camera is and it’s amazing specs. Here’s a link to the Full Specifications and Features on the Sony website. While we use a wide variety of cameras with multiple brand names, our favorite has been Sony and the FDR-AX53 is our first recommendation when it comes to camcorders. The Megs and friends kill it at Killington! Killy Killy! The Megs and friends kill it at Killington! A special thanks to Black Dog Sports for all their help with our rentals. The Megs definitely approve and recommend! The Megs celebrate the Eagles victory! The Megs film the dedicated volunteers of the Mill Creek Fire Company. We love to film our fellow first responders! Be sure to check out the 2017 Mill Creek Fire Company Video featuring the dedicated volunteers of Stations 2 and 21. Thank you for your service Mill Creek! We only did it for free beer. 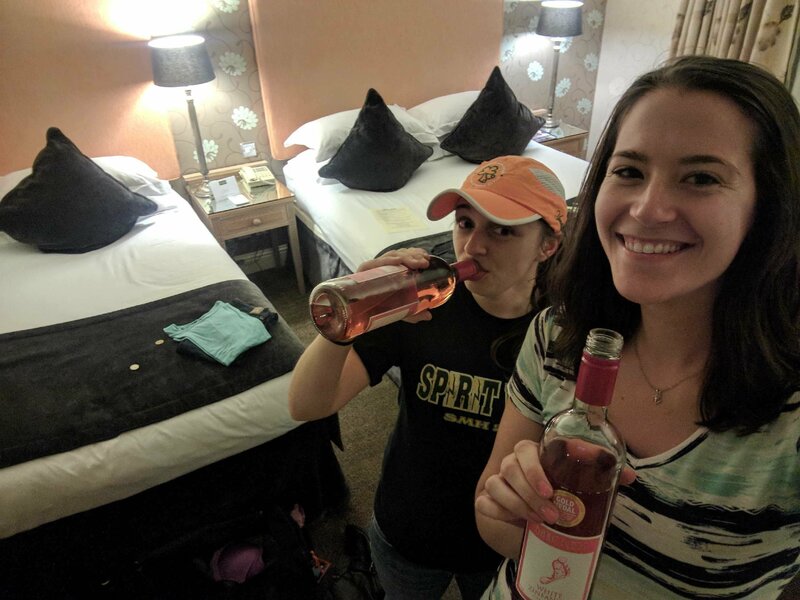 It was a normal, shenanigan filled Meg night in Newark when my short friend introduced the idea of running a half marathon. I had already said no prior to this, but now a few drinks in and vulnerable, I caved. So there I sat, at the corner of the bar, registering to run 13.1 miles. Ironically enough, we were all set to run the Yuengling Shamrock half marathon in Virginia Beach with a few friends. Having never run a half marathon before or a distance even close to that, we weren’t sure how to train for such a long run. So we didn’t do much of it. 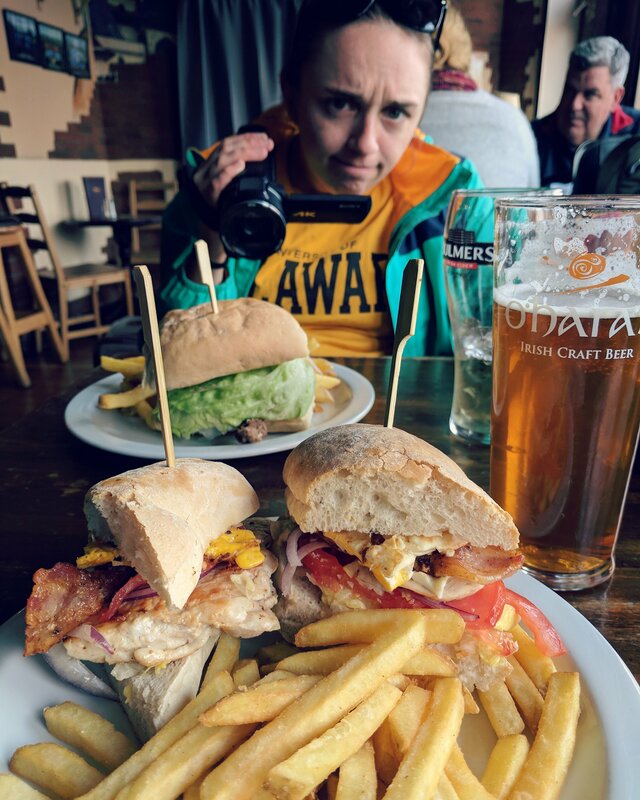 Our longest distance prior to the race was 9 miles in a single session and included our usual celebratory post run drink. I mean if you’re going to drink after the event on race day, better make every training day count. So in the end, we essentially just winged it. Conditions for race day were ideal for not running a half marathon. With temperatures in the 30’s and sleet/freezing rain, it was nothing but miserable in terms of weather conditions. Despite the motivation to run being minimal, we did it. It was painful, freezing, miserable, and the definition of Meg luck, but we did it. Thanks to our friends who convinced us to do it. Thanks to Yuengling for such a fun, well organized atmosphere. Oh and damn it Keely! My POV 60 inches from the ground playing a little one on one with a real life giant. 2017 has been one hell of a year for the Megs. We’ve been carrying a camera everywhere we go for the past few months and have been loving every minute of it. Long live the megs. 7 hour flight. 4 hours of sleep. 5 hour time difference. I don’t know what’s happening. We arrived in Dublin and after a delay getting to our gate, the ground crew not being prepared, waiting 30 minutes for the checked luggage to start circulating, and finding the right info desk to pick up our travel passes, we finally got to our hostel in City Centre about 2 hours after we landed. We dropped off our luggage in their baggage closet and hit the town. We returned again at 8:30, after a few drinks of course. Everyone was awake this time, and 2 new girls were there. We kept to ourselves as we removed our bags from that same storage unit. We gathered all of our belongings and walked out the door. We dropped our keys at the front desk and got a very strange look from the man who had checked us in just 5 hours ago. We said goodbye and ran out the door. Now we’re sitting in our 5 star hotel room. Lesson of the day: when it comes to hotel rooms, spend the extra money. 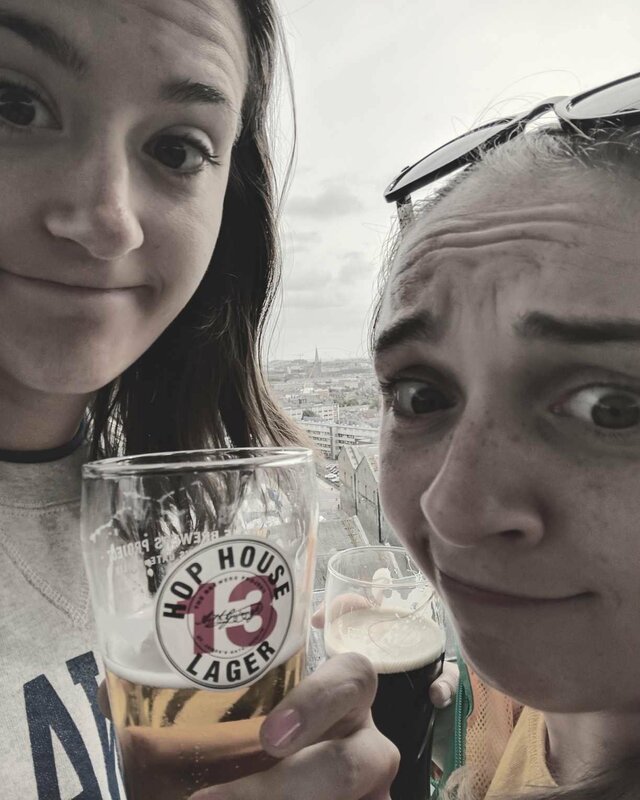 Author Tall MegPosted on September 6, 2017 September 6, 2017 Categories TravelTags #ireland, #megday, #megsvsireland, adventure, roadtrip, Travel, Video1 Comment on 7 hour flight. 4 hours of sleep. 5 hour time difference. I don’t know what’s happening.